With this product you can accumulate up to 91 Glitter Points. Leaves hair sturdier, smoother and brighter. 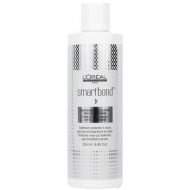 DESCRIPTION: Smartbond Step 1 Additive from LOréal Professionnel is the first step in the Smartbond system. This product provides a protective and strengthening action of the connections during the technical services. 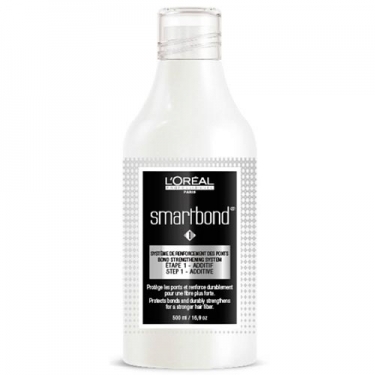 In addition to the long-held opinions of hairdressers, LOréal's Research and Innovation Department has used its 100 years of scientific experience and solid expertise in highly advanced hair care to create Smartbond. 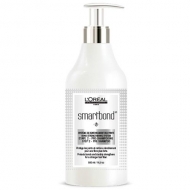 This unique system protects and strengthens hair during technical services (such as colouring or discoloration). The system consists of 3 components, the first two being used in the salon and the third in the home. It is very easy to use and adapted to the routine of the hairdresser.